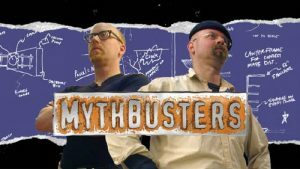 The extremely popular television show, Myth Busters,which has dedicated itself to explaining some of the world’s burning questions like, “Why does toast always seem to land with the butter-side down?” is coming to the Museum of Science and Industry in Chicago, with a new exhibit opening March 15th. The Museum, which is located just 20 minute from our BEST WESTERN Midway Hotel, is a great place to bring the family for a fun day of entertainment and education. The Emmy-nominated television show specializes in creating experiments that test clichés, and puzzles, proving and disproving popular myths and wild ideas the world over and their new exhibit is sure to live up to their exacting standards. This exhibit will no doubt be one of the most popular things to do in Chicago for visitors throughout the spring and summer (it runs until September) and we highly suggest checking it out along with all of the other great permanent exhibits that the museum offers. The exhibit has an additional fee, beyond the regular museum entrance fees, of $10.00 per adult and senior and $8.00 for children aged 3-11. You can buy tickets for the exhibit in advance on the Museum of Science and Industry website or on the day of your arrival at the entrance. When visiting our BEST WESTERN Midway Hotel, our guests are able to benefit from our experienced staff that is up to date on all of the current events, shows, and activities going on in the Chicago area. The next time you’re thinking of coming to town, why not give our Chicago hotel staff a call and let them inform you about the great stuff going on in Chicago during your stay. Image by LVCHEN on Flickr.